Discover the diverse food and culinary traditions from the ten states that border America's most important river-and the heart of American cuisine-with 200 contemporary recipes for 30 meals and celebrations, and more than 150 stunning photographs. Starting at the river's source in Minnesota, renowned chef/restaurateur Regina Charboneau introduces readers to a Native American wild rice harvest dinner, a Scandinavian summer's end crayfish party, and a Hmong Southeast Asian New Year's Eve buffet. 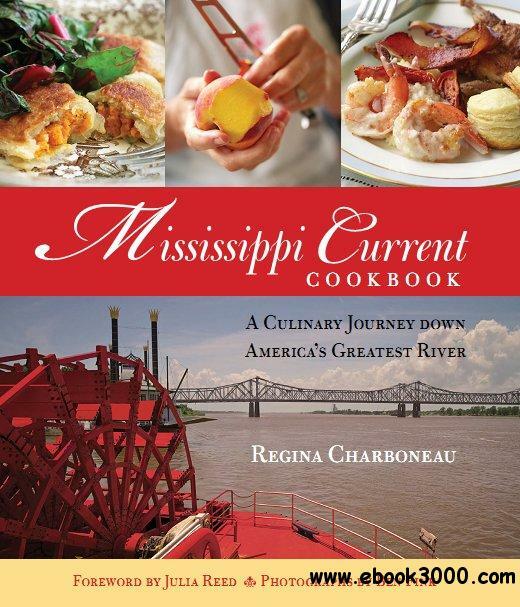 Next the book moves to the river's middle region, from Hannibal to New Madrid, featuring a dinner to honor the man most associated with the Mississippi-Mark Twain. Recipes are supplied for imaginative menus for such occasions as a St. Louis Italian spread featuring the city's famous toasted ravioli, a farmer's market lunch, and an Arkansas farm supper influenced by the vast farmlands on both sides of the Mississippi. The lower region, from Beale Street to the Bayous of the Gulf of Mexico, gives an insight into the author's river roots in Natchez. Included are biscuits, shrimp, smoked tomatoes over creamy grits, a New Orleans-style Reveillon dinner, and a blessing of the fleet dinner inspired by the Vietnamese fisherman who shrimp at the mouth of the river. Scattered throughout are intriguing sidebars on such topics as how the paddlewheel steamboat came to ply the waters of the Mississippi, the traditional canoe method of harvesting Minnesota wild rice, and the 3,000 mile River Road lining the waterway. Throughout are stunning photographs of local scenery, dishes, and ingredients taken by renowned photographer Ben Fink on the magnificent American Queen riverboat and at farms, historic homes, and towns along the length of the river.